When you hire employees to work in your business, you’ll quickly learn one of the unfortunate consequences; payroll taxes. These taxes not only include the amounts your employee asks you to withhold on their behalf, but your fair share of social security, Medicare and unemployment tax. If you make the payments on time, all will be well in the universe. Fail to pay timely, or not at all, expect the IRS will rain all over your parade. If you have employees, you absolutely must deduct and withhold various taxes from their paychecks. Since you are deducting money from the employee’s paycheck, you are handling their funds. In fact, you are handling these funds in “trust,” meaning that they really don’t belong to you, they belong to the IRS. This fact is very important to the IRS and it places great emphasis on any failure to deposit employment taxes. We often tell clients, the IRS will take a few months/years to “come after” a taxpayer for late payment of income taxes. However, they will contact you and take “aggressive” collection action much sooner if the taxes in question are payroll related. If you fail to pay employment taxes, you may be personally subjected to a 100% penalty. Yes, you read that right, 100%. Known as the “trust fund recovery penalty,” this penalty can be assessed against the person responsible for paying the taxes, not the entity. 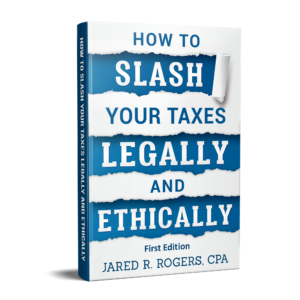 The person can be the owner, corporate officer or other “responsible person.” In short, a business entity is not going to protect you from the wrath of the IRS if you didn’t deposit your payroll taxes. They will hold the “responsible person” 100% accountable for paying the taxes; even if the business is closed! Cash flow crunches are an inevitable event for practically every business. So, what happens if you make a late payment for employment taxes? Unless you can show reasonable cause for the delay, the IRS is going to penalize you. Late payment penalties range in amount depending on the delay. If the delay is less than six days, the penalty is 2%. Delay for six to 15 days and you are looking at 5%. More than 15 days in delay is going to push the penalty to 15%. If you delay this long, the IRS will begin peppering you with penalty notices telling you where you stand. The best solution to dealing with this is to get the money to the IRS as quickly as possible. If the amounts involved were significant and resulted in large penalties, you may want to consult with a tax professional to see if the penalties can be abated (i.e. forgiven). If you can’t pay the amounts owed, then you will definitely want to consult with a tax professional to review your options (i.e. installment agreement, offer in compromise, currently-not-collectible, etc.) and negotiate a “formal” resolution with the IRS. Any of the above are matters that we can assist you with, so feel free to shoot as email or call us via the information listed below. In closing, whatever you do, make sure you deposit employment taxes with the IRS in a timely fashion. Take a moment to think about the worst thing you have ever heard done by the IRS. If you fail to pay employment taxes, the actions taken by the IRS will be ten times worse and you will be the one telling the horror story! This entry was posted in IRS Talk and tagged employer tax late payment penalty, employer tax penalties, employment tax late payment penalty, employment tax penalties, employment tax penalty abatement, trust fund recovery penalty on July 23, 2014 by Administrator.